I have worked profesionally on all Porsche models and there isn't a fault I haven't seen and fixed. I know every nut & bolt on these cars & have driven every variant. 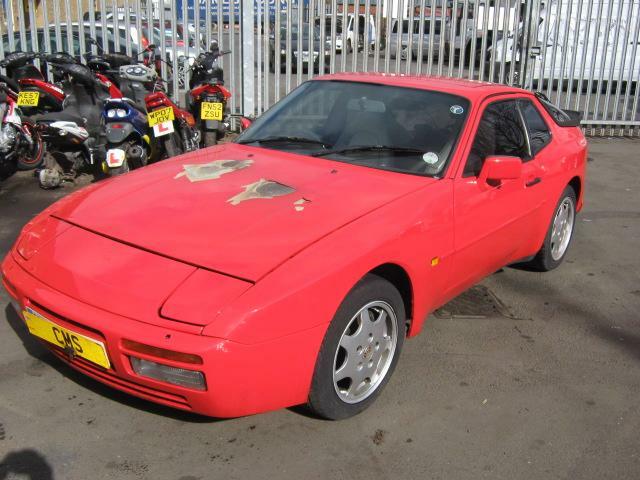 The 944 S2 is my personal favorite, the turbo (or 951) is very quick - especially when modified - but I couldn't live with the massive turbo lag. Forced induction is great (as my Golf proves) but the transition from off boost to on boost is just too severe on the Porsche. The car that became mine had suffered a cam chain tensioner failure, the engine had been stripped and then the owner decided not to repair it. 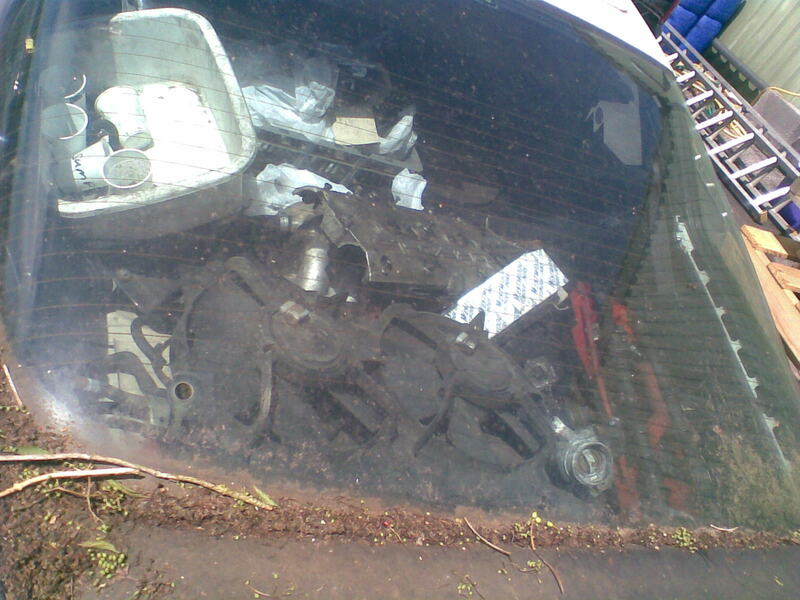 It had been parked up for a couple of years with the engine in bits in the boot before I entered the scene. 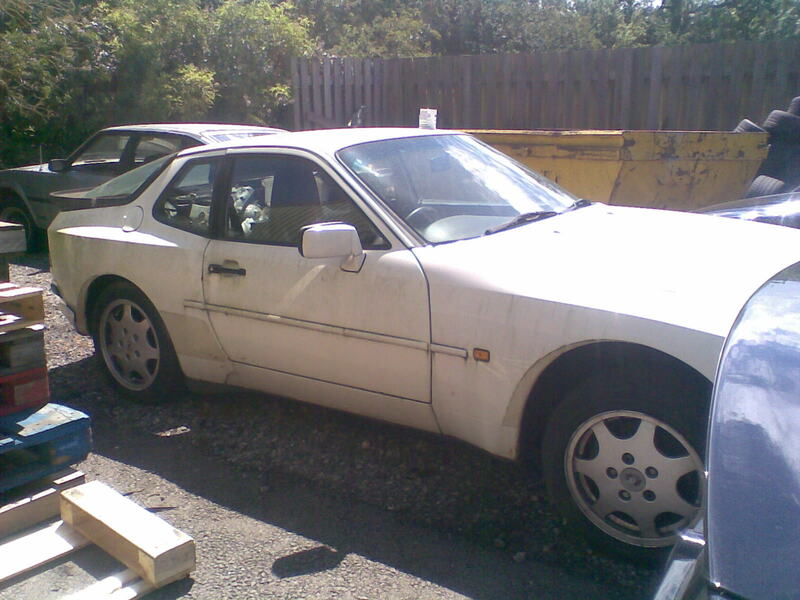 A change in career creates an oportunity to own a 944 in exchange for a couple of days work. Seems like a good idea. Having examined the car in more detail I decided to buy another complete car for its engine as a rebuild can cost a small fortune (a crank main bearing set costs over �200 on its own). 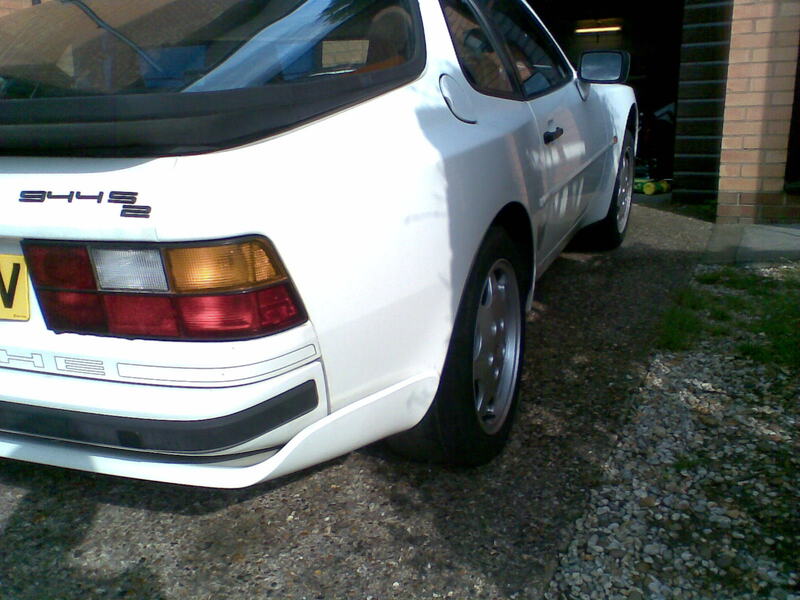 I settled on a fire damaged donor car which I stripped, kept the engine plus any other useful parts & sold the rest. Having bought the car unseen I was wary regarding the damage but still took the plunge. 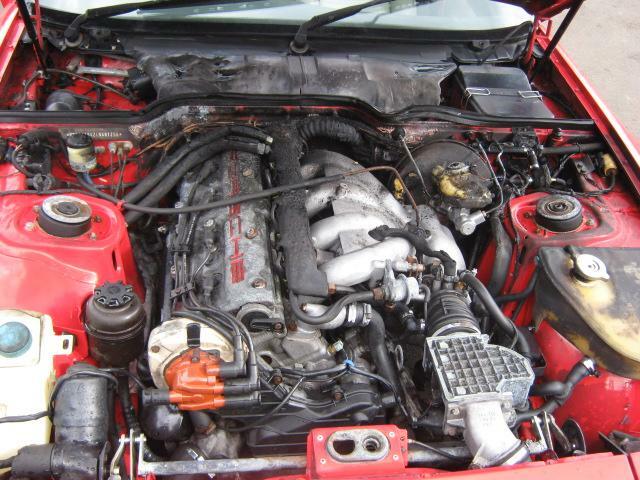 The red donor car goes to the scrapyard & I start to check over my 'new' engine. The very first thing I do is remove the camcover. The very second thing I do is swear. 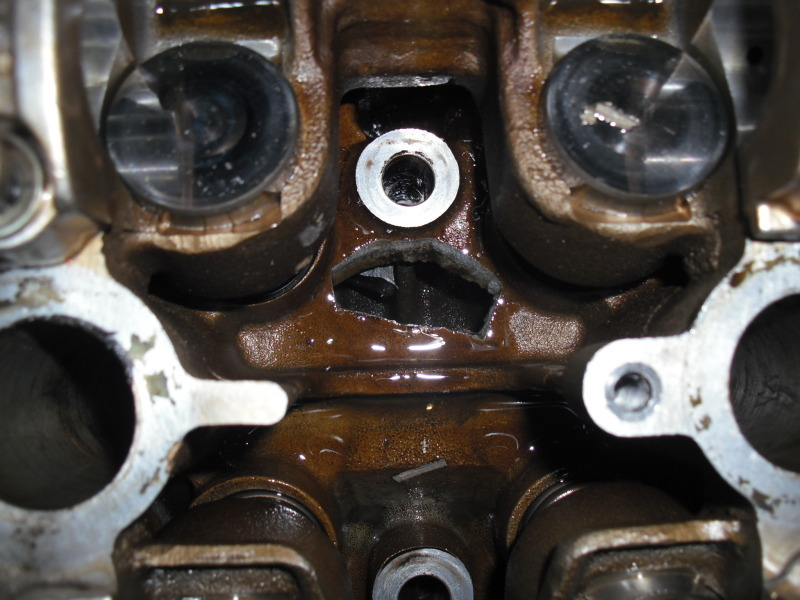 There are cracks in the cylinder head - it appears to have been caused by frozen coolant. My worries about the car being an insurance job seem confirmed, time for a cuppa. The head from the original engine looks useable but will need a skim and maybe some welding. It is sent off to the machinist. 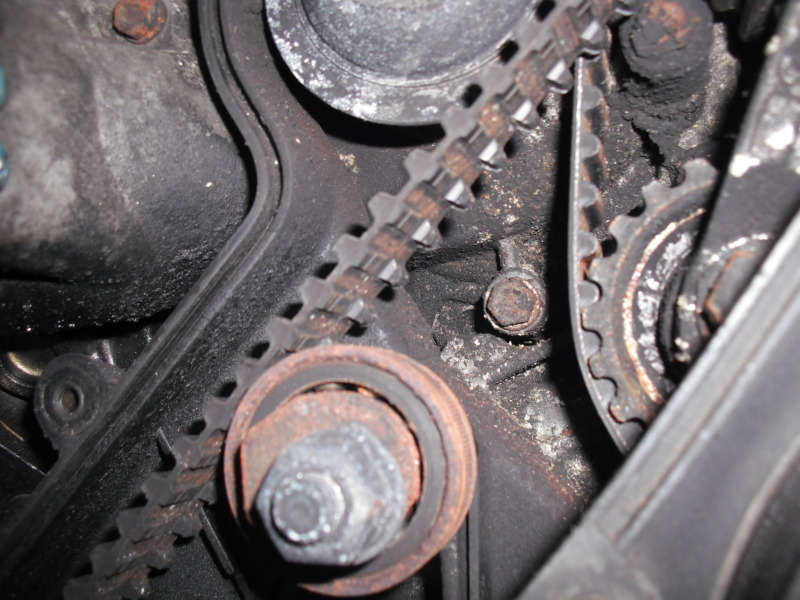 Another problem is the balance shaft belt idler pulley, this has been fitted incorrectly resulting in the pulley (now missing its plastic outer casing) wearing away the teeth on the belt. Ater removing the head I found a rather knackered headgasket, this is a very common fault on 944, 924 and 968 models. 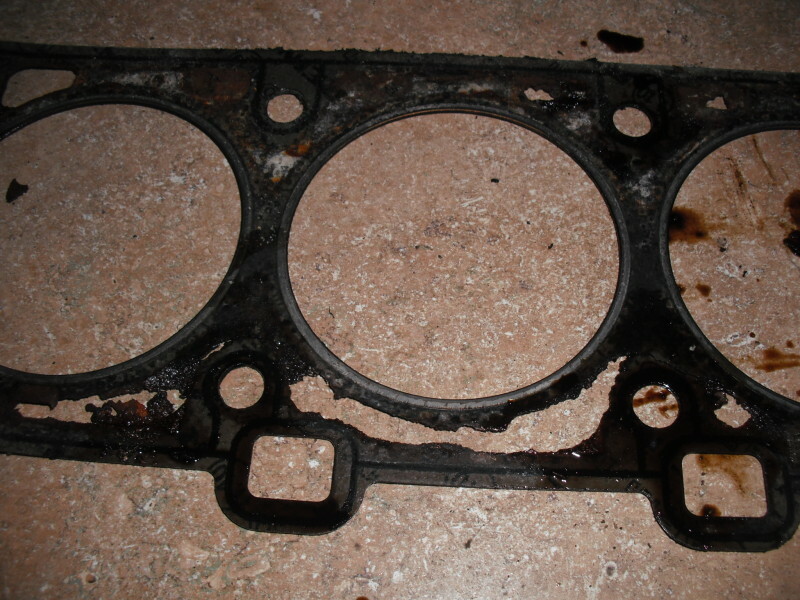 The gaskets rot away over time & eventually fail. 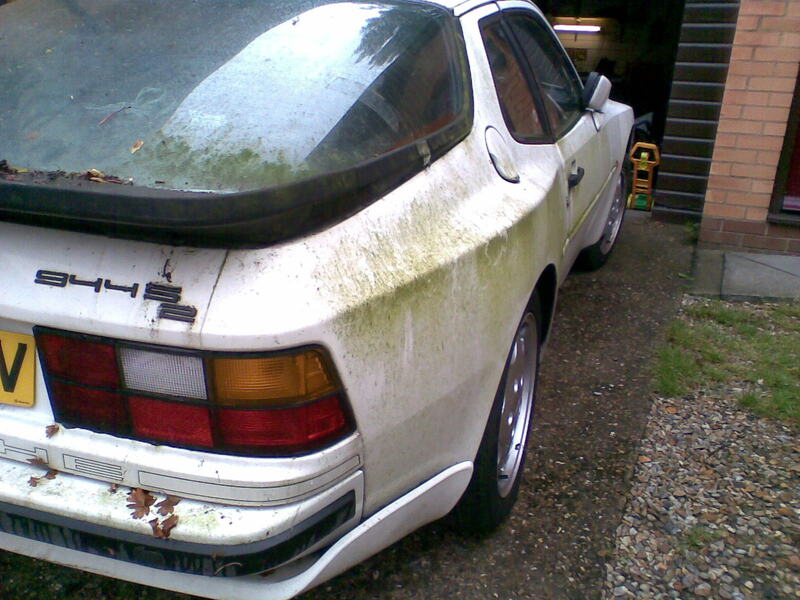 My car gets delivered home & its filthy! First job is a wash, I don't think the neighbours would apreciate a mouldy car on the drive. I have continued stripping the engine paying attention to the bores, if they are worn then I'm back to square one. Fortunately they are in good shape. The sump & big ends came off to inspect the bearings, again, they are ok, as is the pickup pipe (these can fracture). The sump & block have been painted as the fire had stained the finish & the sump refitted along with new pickup seals. All the front end seals have been replaced (crank, waterpump, balance shafts). I also removed & resealed the balance shaft housings as they can weep. They head is back and looks like a million dollars, which is good as the refurb cost a fair amount. It required extensive welding before a skim & clean. The valve spring shims are all mixed up to I need to do some measuring before assembly. I started the head build by lapping in the valves, 16 of them take a while! I quickly got bored. Fortunately my clutch turned up so I could do something else. A new clutch kit for an S2 will cost north of �400 so I had been looking for a cost effective solution & found a company capable of relining the original (I had the later type, without the rubber centre - which can fail). I wasn't happy with their 1st attempt but the company sorted it out promptly & when it came back it was perfect. I also bought some more seals and a thermostat. More problems. More cups of tea. 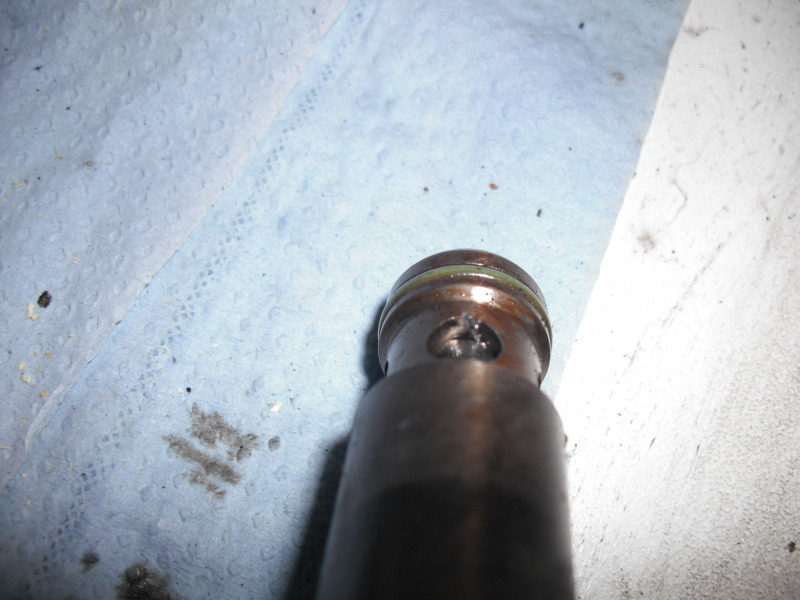 After removing the oil takeoff assembly I found some more damage, a crack in the housing. Not a biggie as I can use my 'spare' from the other engine. However when I removed the oil pressure valve I found a tiny piece of swarf jammed in the plunger, this would have resulted in poor oil pressure & is probably the reason the engine was stripped. 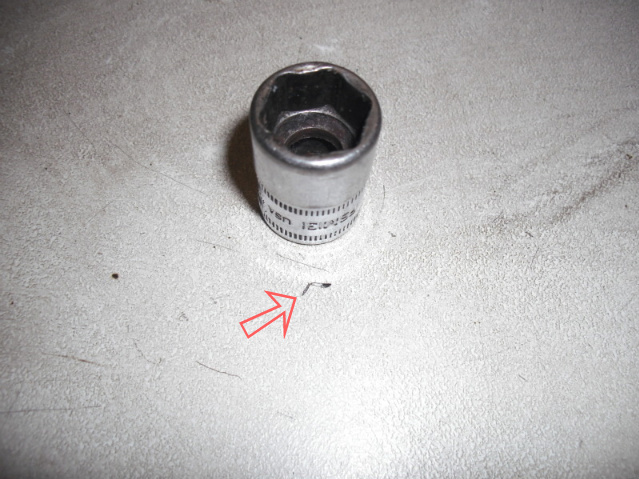 The swarf is pictured next to a 13mm socket. I can't put it off any longer, time for some serious valve grinding. There was some pitting on the valve seats, 2 passes with the paste has sorted most of it but it was very time consuming. To speed things up I attatched a length of rubber hose to my drill, slid the hose over the valve stem & worked the drill rather than my arms. 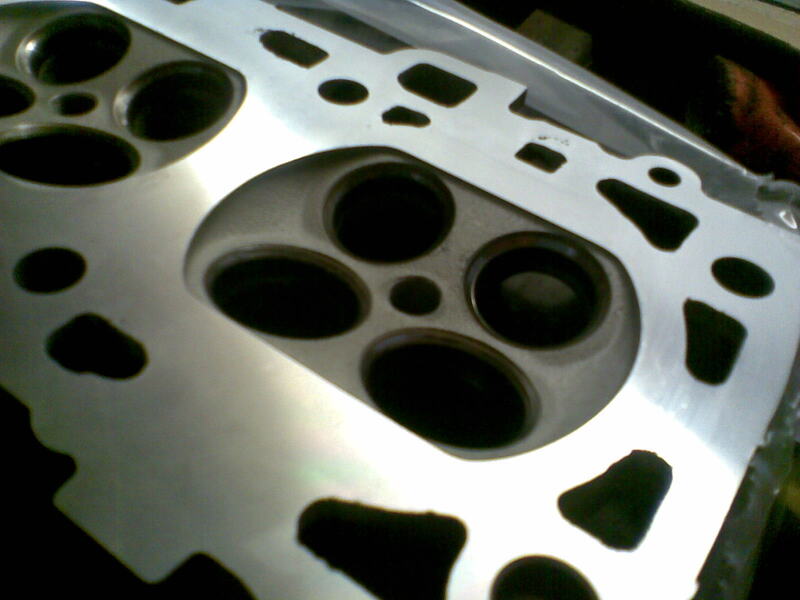 It's still taken a while to do all 16 valves with coarse and fine paste but the results are good. I just need to give the head a good clean (any remaining paste can do serious harm to an engine) and then reassemble it. The head is now assembled & ready to fit. The time it takes to clean and put a head together cannot be underestimated. Once the seats were done I could temporarily assemble it in order to measure the spring lengths - each spring pair is shimmed and the shims had all been mixed up previously. Once that was done I could take it apart again, clean it again and then do the final assembly. While we are talking about the head, the reason the original engine was stripped seems to be an oil pressure problem caused by that little bit of swarf in the oil pressure valve. It had come from the cam chain tensioner (the hydraulic device that sits between inlet and exhaust camshafts). The plastic chain guides (or slipper pads) had become worn and brittle, eventually failing. 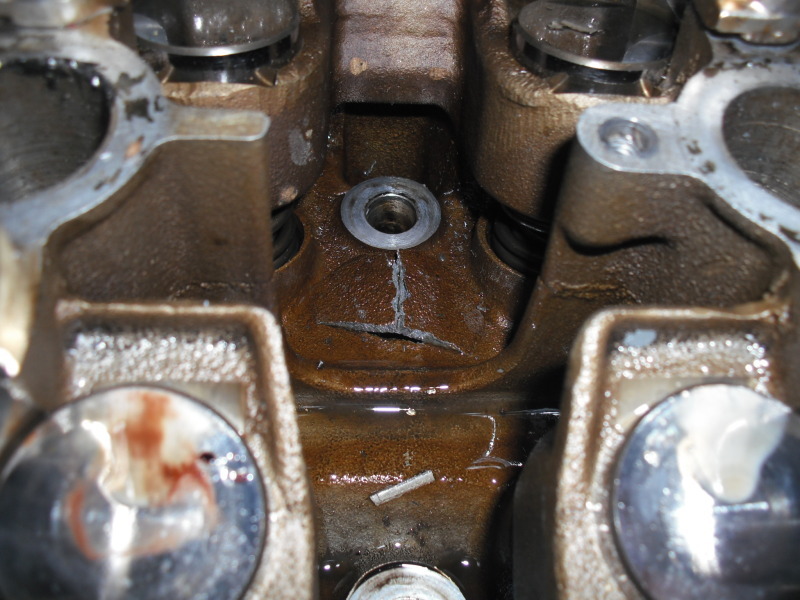 Not only did this leave fragments in the oil system, it also allowed the chaing to run directly on the body of the tensioner which inevitably shaved off small pieces of metal. 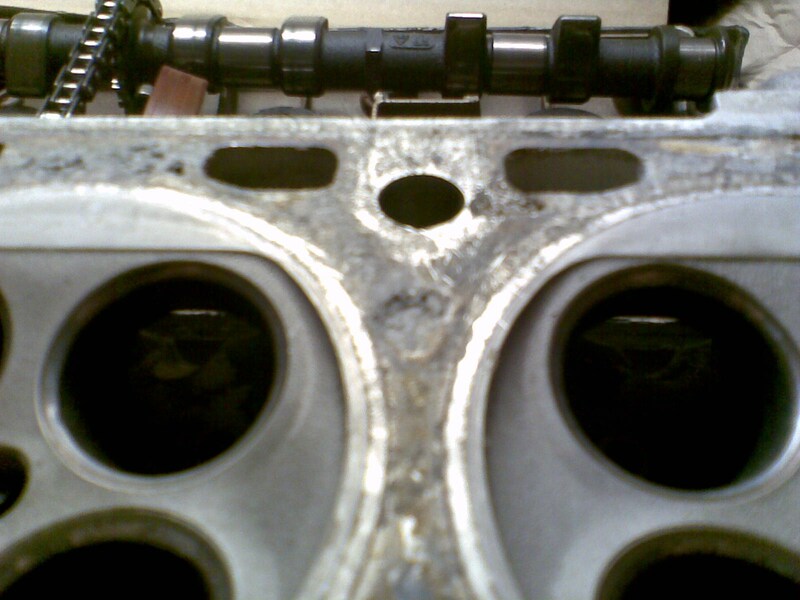 This is an all too common and potentially serious problem with the Porsche twin cam engines (2.5 S, 3.0 S2 and 3.0 968). Below are some pics of the damage. I decided to fit the engine without head fitted to give me a couple of inches extra room, but before that I still had some cleaning to do in the engine bay. To fit the block I fitted the crossmember to the engine and slid the whole lot in from the front on my homemade cradle. The radiator and bumper have to be removed if you don't happen to have a workshop ramp on your drive. To remove the crossmember disconnect the wishbones, remove steering rack and roll bar. With the engine in it was time for some serious work including fitting the PAS system, camshaft and balance shaft belts and rollers, wiring loom, alternator, cooling system and of course, the cylinder head and camshafts. All very time consuming but very rewarding.